I'm hoping back into blogging today with a bit of a new look and a mini revelation. Let's set the scene. My new job is much more design friendly. Yes, I can actually say with confidence - part of the reason they employ me is to "play" in the new Adobe CS6 suite. I just had to share that.It's awesome. And the new suite is gorgeous! ANYWAY, today I went looking for a specific picture of Paris. One I knew I had saved on my home computer, one I knew came from flickr, but other than that - I was lost. After 30 minutes of looking for it in vain, I realized THIS is why I have a pintrest account. 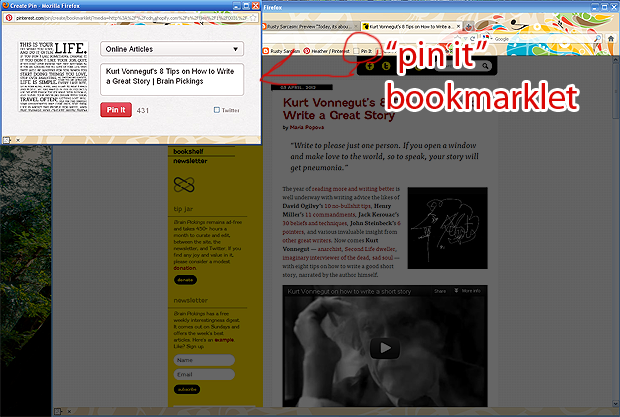 I should have pinned it. Then I could find it. Then I wouldn't have spent 30 minutes in vain. And - yes, then again! - I realized if I pinned more things I like/find useful online I could easily access all my ideas, actions, brushes, images, rights-free photos and fonts AND tutorials all on my lovely pin board. For me dear reader, this is a revelation. It helps me integrate my resources from home and work and allows me to have everything I need as close as possible. With the job interviews I did a little over a month ago and the consulting I've been doing on the side, it seems like everyone is asking me why/how they should be on pintrest. Which, for the most part, has been a rather emphatic answer of "you don't/shouldn't be on it". For me, the practical application to connect with customers didn't appeal to me unless your medium was fashion or art or design. Let's face it, people are not going to repin pictures of dental kits, and they probably won't repin a toothbrush tutorial unless it looks homemade. As with most social media applications, people don't want to feel like they're being sold something. They want to feel like they're sharing a best-kept secret. So, at its best for a company, pintrest should be an extension of your brainstorming or idea gathering for a marketing department, etc. After all, we've gotten much more open about giving credit where credit is due. This allows customers/followers to feel connected to the creation process. Who doesn't like a behind the scenes? These are ideas I know the fashion houses and design studios have already integrated into their everyday life. They are the groups that don't mind the total access sharing. They also realize how important their online fanbase and presence is. But for the average company who can't use twitter, pintrest can be a large monster they want to tackle, but don't know how. 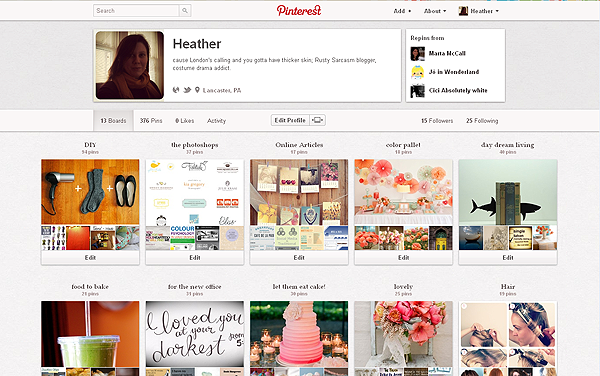 Now when a company asks me "What should we do with pintrest?" I have a fuller answer for them. 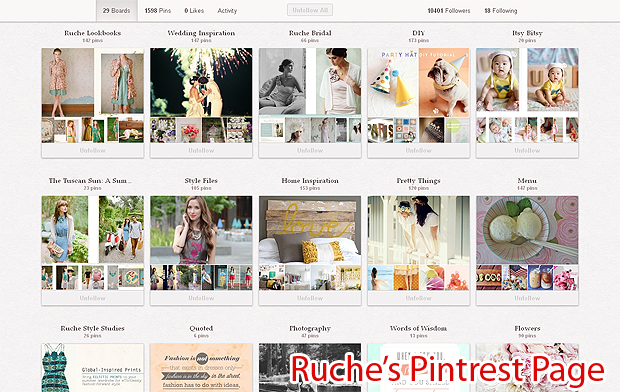 It's easy to say its a nitche market; it's easy to say you shouldn't be on pintrest, your follows need to pin you to pintrest; but now my answer can also have an active element - "if you want to be on pintrest, use it to be a tool within your company and pin relevant topics for that person." As with all social media tools, you have to look at pintrest through the eyes of what can it do for you personally/how can this online application make my life easier than how to use it as a sale tool. Then again, I get to pin ideas for events and food and designing. That already makes pintrest for me much more fun and a lot less about selling toothpaste.